It's raining today, which might under ordinary circumstances be considered an unfortunate turn of events. 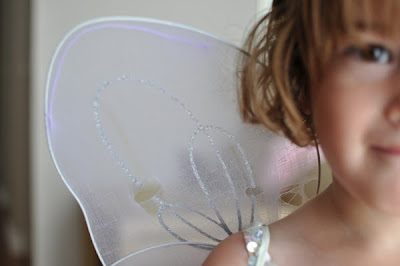 Sometimes, though, it takes a dark sky and a little thunder to summon the rare, silver-winged fairy princess. There have been sightings around here all morning. Oh pretty in pink!!! 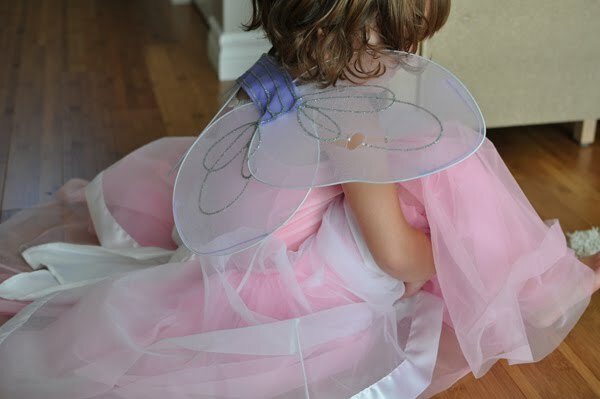 She and my girls are were of one mind this morning as I had two fairy princesses flitting around the house. Alas, I am still recovering from our weekend away and didn't have the camera out, but I'm so glad you did. Hooray for rainy day play!